3 or 5 pounds of Wisconsin Classic Aged Cheddar Cheese! 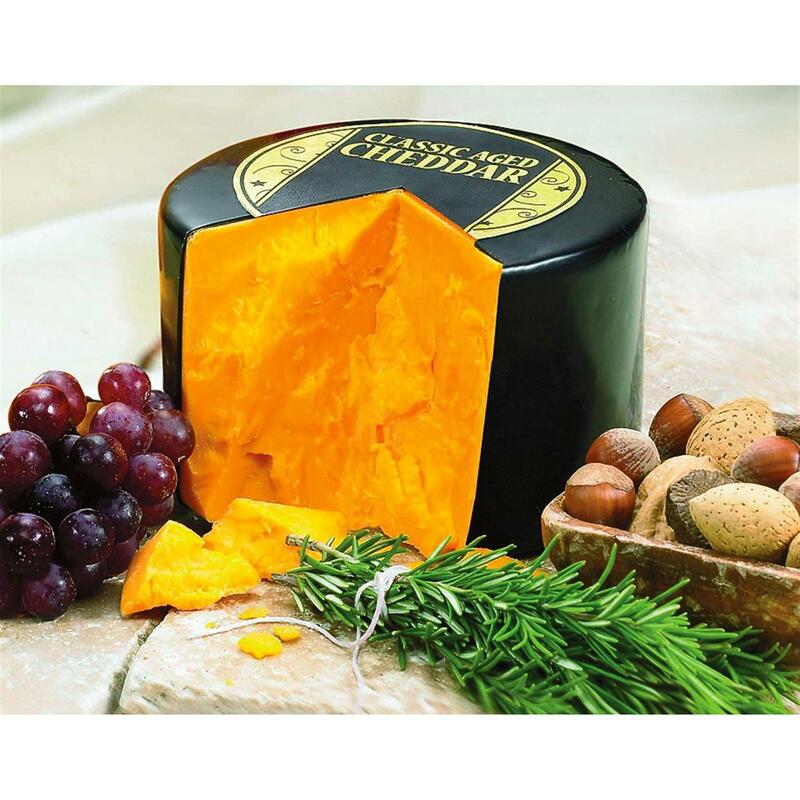 In Wisconsin's finest tradition, golden naturally cured Cheddar Cheese, aged to perfection! Figi's Signature® chooses only the Cheese with the finest texture and richest taste to be packed in black cheesemaker's wax, the symbol of ultimate excellence. Classic Sharp Cheddar, aged for 18 months or more. Few crackers are worthy of it! Note: no returns unless truly defective.